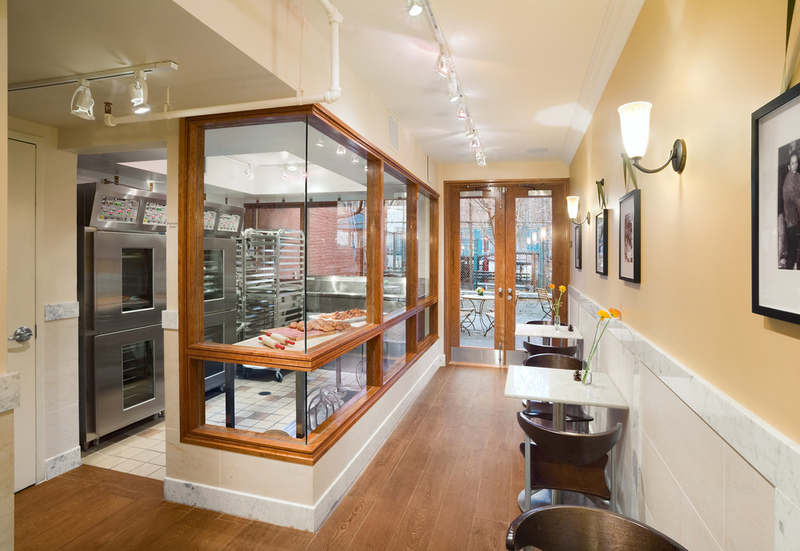 Rheon, a leading Japanese manufacturer of small and large scaled baking equipment, envisioned creating a cafe that was a warm and inviting showplace to highlight their line of high-end consumer bakery equipment as well as the extraordinary pastries and bread they produce. 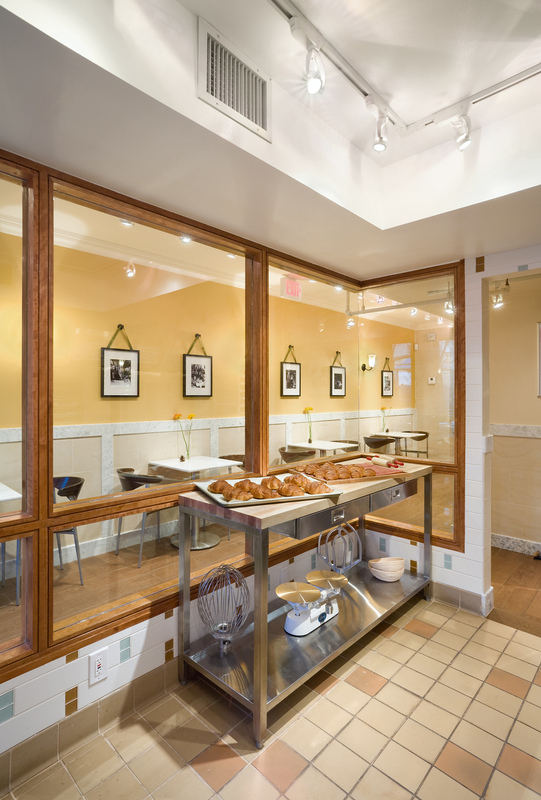 Tobin|Parnes’ goal was to create a warm ambience of an upscale contemporary bakery café with an open bakery room that showcases Rheon’s vision. 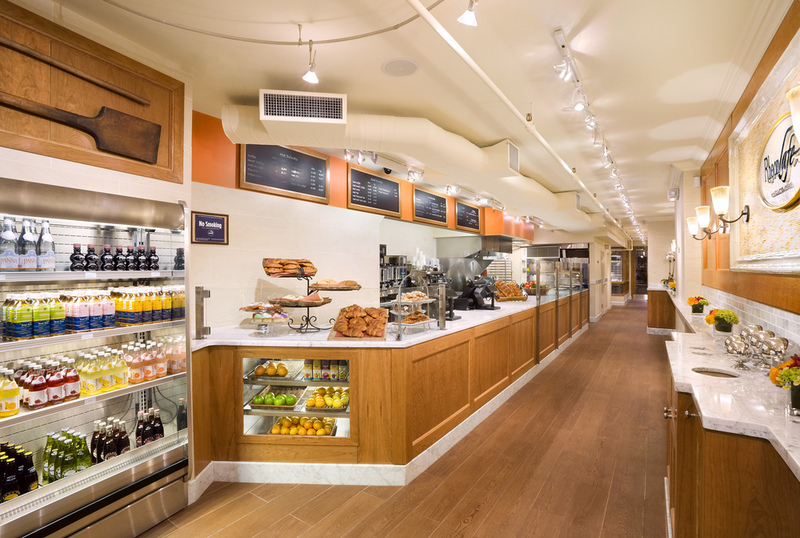 Warm toned millwork, marble counters and mosaic tiles reflect Rheon’s vision of quality materials in a warm residential setting with carefully selected lighting which highlights all the Rheon products.